Nominated by President Bill Clinton on October 1, 1999, and confirmed by the United States Senate on November 10, 1999, Mr. Halter was the first confirmed Deputy Commissioner of Social Security subsequent to the 1994 independent agency legislation. Mr. Halter is also a member of FirstGov’s Board of Directors and the President’s Management Council, a group comprised of the Chief Operating Officers of the federal Cabinet departments. 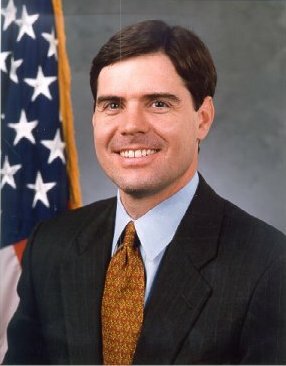 Before his appointment as Deputy Commissioner of Social Security, Mr. Halter was a senior advisor in the Office of Management and Budget in the Executive Office of the President. He advised on a range of policy issues, reviewed and evaluated budgets and management practices of federal Cabinet departments, presented budget options to the President and formulated Administration positions on domestic and international policy issues. Prior to that, Mr. Halter served as an economist to the Joint Economic Committee of Congress and as Chief Economist for the United States Senate Committee on Finance. He has also served in the private sector as a management consultant with McKinsey & Company specializing in strategic planning and improving organizational effectiveness for a variety of public and private clients. Since 1996, Mr. Halter has been a member of the Board of Trustees of Stanford University, serving on the Finance, Academic Policy, Alumni and External Affairs, Land and Buildings, and Athletics Committees. He is also a member of Stanford’s Humanities and Sciences Council, the Advisory Council for the Stanford University Libraries and Academic Information Resources, and is on the National Advisory Board of Stanford University’s Haas Center for Public Service. In addition, he is a member of the Advisory Board of Friends for Youth, a program that matches youth-in-need with adult mentors. Mr. Halter is 39 years old and a native of North Little Rock, Arkansas. A Rhodes Scholar at Oxford University, he received an M. Phil. degree in Economics in 1986 and received an A.B. degree with Honors and Distinction in Economics and Political Science from Stanford University in 1983. In addition, he is a Marshall Scholar, a Harry S. Truman Scholar and a National Merit Scholar.